The 2019 Honda Accord Hybrid is arguably the most appealing new Accord -- it gets 48 mpg without any major drawbacks. 2019 Honda Accord vs. 2019 Hyundai Sonata: Which Is Better? Both of these 4-door sedans wear a sleek coupe like design. 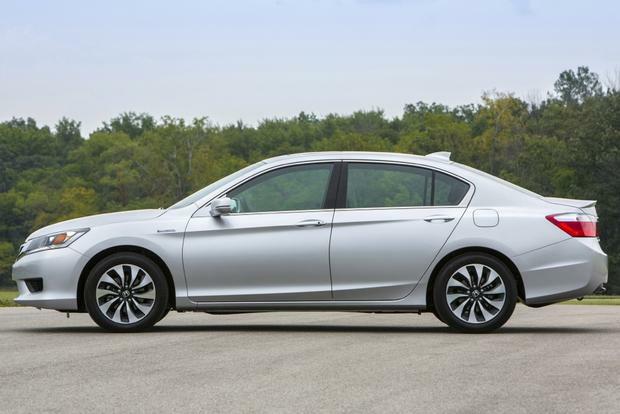 The well-rounded 2019 Honda Accord should be on the test-drive list of anyone considering a midsize sedan. 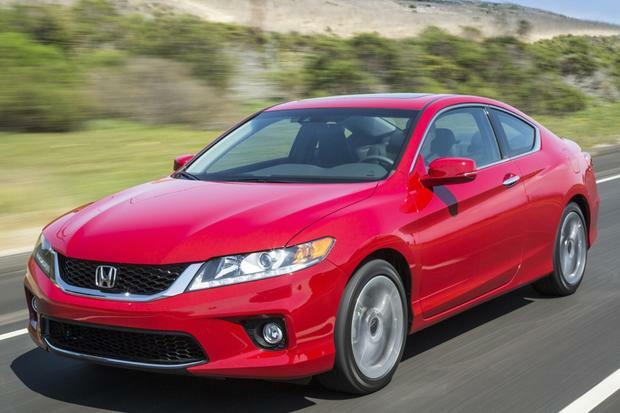 What's the Best Honda Accord You Can Get for $15,000? 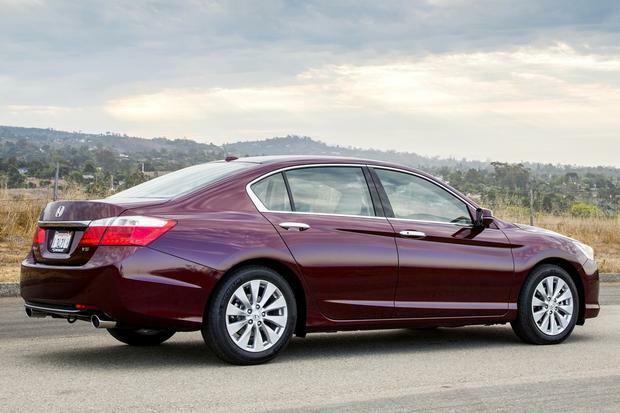 Here we look for value when it comes to buying a used Accord. 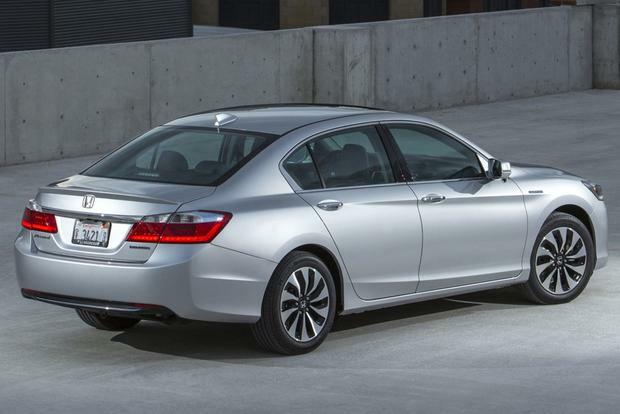 As used cars go, buying a 2016 Honda Accord may be one of the wisest, least stressful choices one can make. 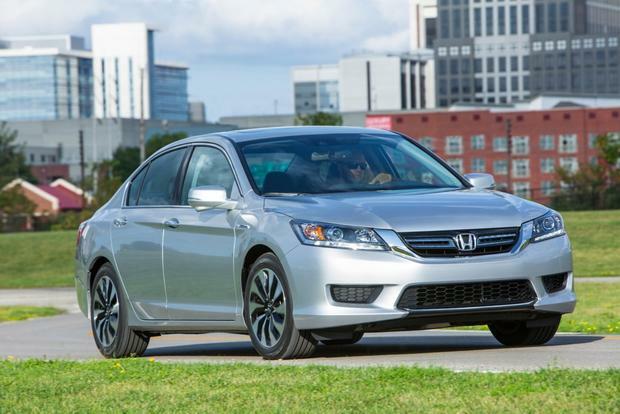 You wouldn't guess it by looking at the 2015 Honda Accord, the latest iteration of the best-selling midsize sedan, but the Accord actually found itself playing catch-up a few years ago. Once the undisputed champ of its segment, the Accord arguably lost its way at that time, held back by tepid technology and overgrown dimensions. Meanwhile, practically every rival took a big step forward, making the Accord feel like a shadow of its former self. Honda went back to the drawing board, hoping to recapture some of that old mojo -- and it did, with a full redesign for the 2013 model year. 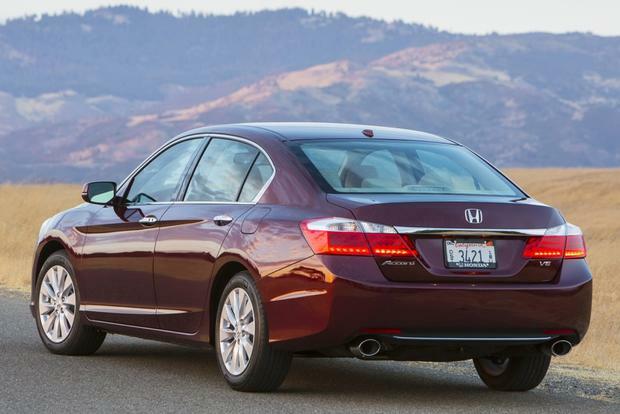 With only minor changes from that major update 2 years ago, the 2015 Honda Accord is a little smaller, a lot sleeker and packed with the kind of cutting-edge features that used to be Honda's hallmark. There is, for example, new styling, which represents a crisp evolution from the previous-generation model. 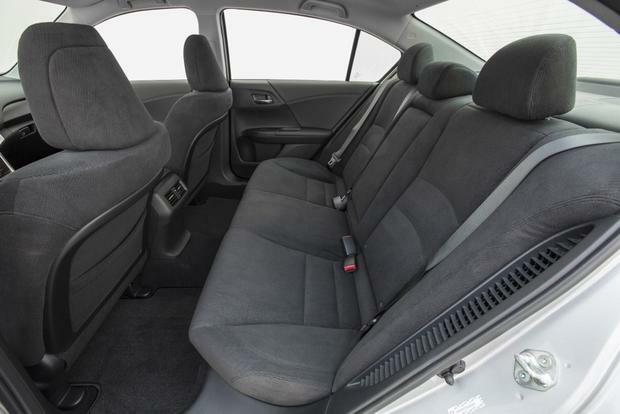 There's also a nicer interior, and you no longer have to spring for the pricey EX if you want cool features because even the mainstream LX comes standard with alloy wheels, Bluetooth, USB connectivity and dual-zone automatic climate control. 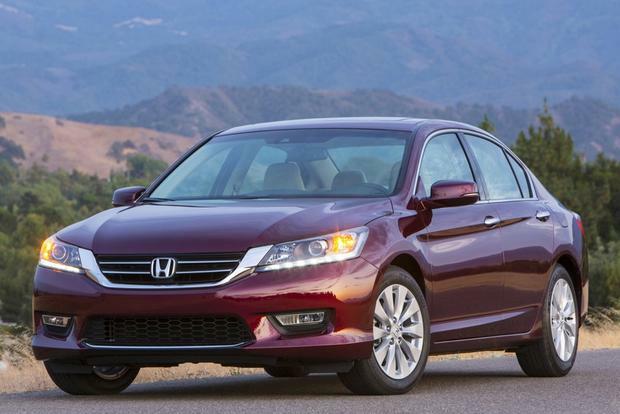 Is the Accord the midsize sedan to beat? We wouldn't go that far. 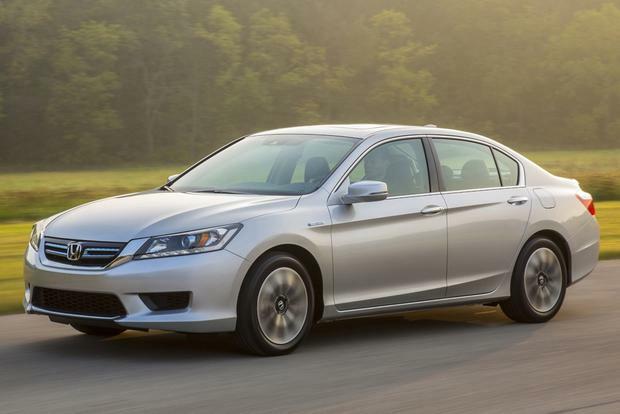 There's just too much parity in this segment right now, with seemingly every automaker offering a compelling product, but the Accord has certainly caught up to the pack, and it's nice to see Honda's stalwart once again fighting its way to the top. The Accord sees only minor changes for 2015, including a newly standard LaneWatch camera on EX coupe models, a standard universal remote in the Accord EX-L and an auto-dimming mirror in the Accord EX-L coupe. 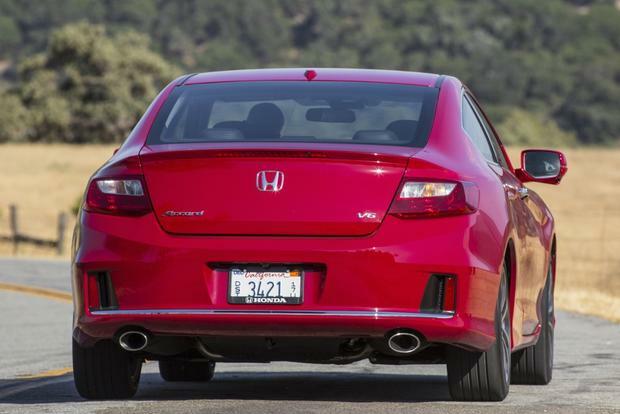 The Accord starts with a 2.4-liter inline 4-cylinder that makes 185 horsepower and 181 lb-ft of torque. The Sport sedan squeezes a little more power out of the same engine: 189 hp and 182 lb-ft of torque. Although a 6-speed manual transmission is offered for the first time with this engine, most Accords will have the gearless CVT. Ordinary Accord sedans with the CVT are rated by the Environmental Protection Agency at 27 miles per gallon in the city and 36 mpg on the highway, while the slightly more aggressive nature of the Sport sedan and the 4-cylinder coupe hauls them down to 26 mpg city/35 mpg hwy. Opting for the 6-speed manual extends the downward slide to 24 mpg city/34 mpg hwy. The optional 3.5-liter V6, offered with a new 6-speed automatic transmission or a coupe-only 6-speed manual, generates 278 hp and 252 lb-ft of torque. The engine is largely a carry-over from the last Accord, but the 6-speed automatic makes a big difference in acceleration, catapulting the Accord V6 to the head of the class. It also helps return a remarkable 21 mpg city/34 mpg hwy with the automatic, though gas mileage with the manual drops to 18 mpg city/28 mpg hwy. For drivers especially interested in gas mileage, Honda also offers the Accord Hybrid, which we've covered in a separate review. 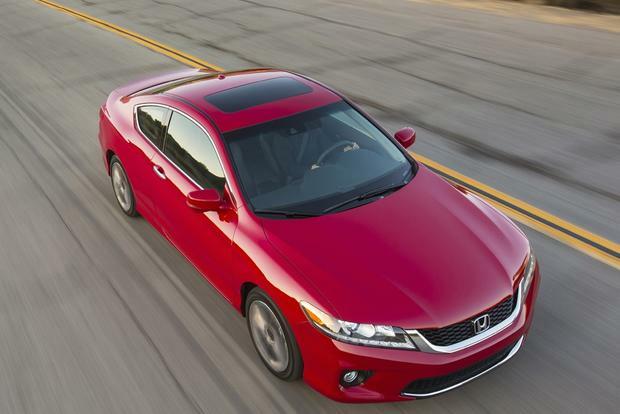 The 2015 Accord sedan is offered in six trim levels: LX, Sport, EX, EX-L, EX-L V6 and Touring. 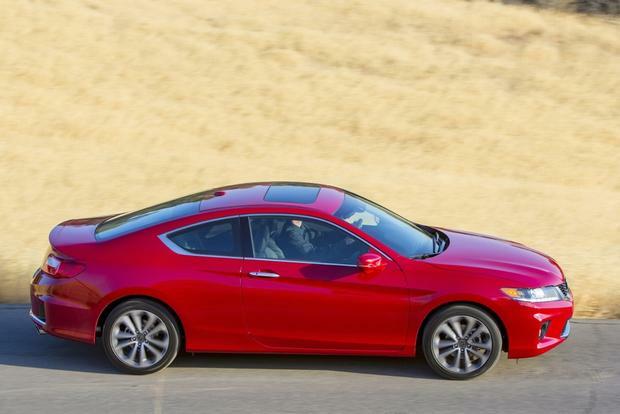 The Accord coupe starts out at LX-S and can't be had in Sport or Touring trims, but it shares the sedan's other trim levels. Honda used to punish entry-level buyers with a lack of equipment offerings, but starting this year, that's no longer the case. Even the base LX sedan ($23,000) includes perks like 16-inch alloy wheels, dual-zone automatic climate control, a rearview camera, Bluetooth, USB audio connectivity, Pandora Radio compatibility, a 4-speaker stereo and the i-MID (short for intelligent multi-information display) infotainment system with an 8-in screen. The Sport sedan ($24,500) adds 18-in alloys, a rear deck-lid spoiler, fog lights, a leather-wrapped steering wheel and a 10-way power driver's seat with adjustable lumbar. The EX sedan ($25,800), traditionally the luxurious Accord, actually isn't that much more special now, though it does feature 17-in alloys, a sunroof, a 6-speaker stereo and keyless entry with push-button ignition. The EX-L ($29,200) sets itself apart from the EX with LED brake lights, HondaLink, a rearview camera, 2-position memory for the driver's seat, a 4-way power passenger seat, a new-for-2015 HomeLink garage-door opener, heated front seats, leather upholstery, a touchscreen audio interface and satellite radio. The EX-L V6 sedan ($31,200) adds the V6 engine and LED daytime running lights. The top-of-the-line Touring sedan ($34,400) features automatic LED headlights and adaptive cruise control. Note that the optional navigation system with voice recognition is only available on the EX-L, EX-L V6 and Touring trims. Selecting it increases the resolution of the i-MID screen substantially. In terms of feature content, the coupe-only LX-S model ($24,400) is roughly an EX sedan without the sunroof and push-button ignition. From there on out, the coupe more or less follows the sedan's equipment formula. The 2015 Honda Accord comes with 4-wheel anti-lock disc brakes and six airbags (front, front-side and full-length side curtain). Other available safety features include collision and lane-departure warning systems. 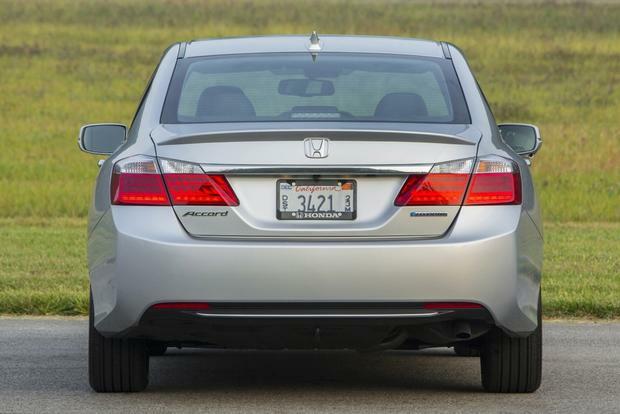 In government crash tests, the latest Accord earned a 5-star overall safety rating. That rating consists of a 5-star side-impact rating, a 5-star rollover rating and a 4-star frontal-impact rating. On the road, we were impressed with just how well the latest Accord handles. Like many things about the car, it's clearly an improvement over its predecessor. The same goes for the ride, which is luxury-car smooth, surprisingly quiet and also an improvement over past Accord models. Unfortunately, the brakes remain mediocre, and independent testing has shown little progress relative to the previous model's units. 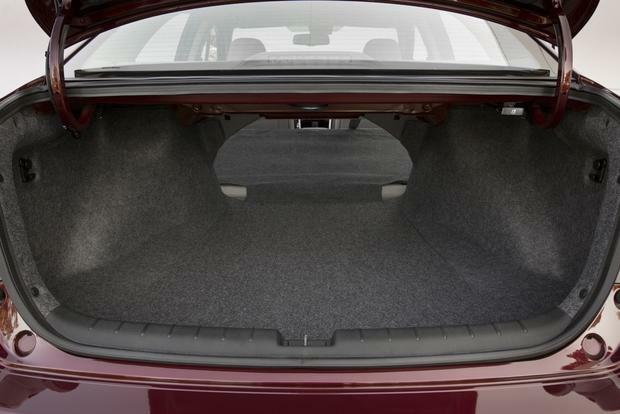 During our interior evaluation, we immediately felt an upscale vibe that didn't exist in the previous Accord. The materials seem nicer in the current model, and there's no doubt that the standard 8-in i-MID display adds a touch of high-tech class. Despite the influx of technology, Honda's ergonomic leadership shines through in the ease of use that characterizes most controls. 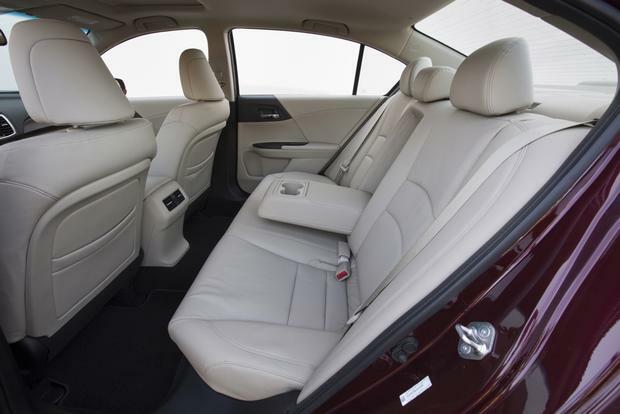 The front seats are firm and highly supportive, while rear passengers in the sedan will at least be as comfortable as they were in the outgoing model's palatial back seat; in fact, rear legroom has somehow increased by an inch. The coupe's rear quarters are predictably tighter, but two adults can squeeze back there for short- to medium-length trips. Ford Fusion -- The recently redesigned Ford Fusion is one of the few rivals that can give the Accord a run for its money in terms of technology. It doesn't hurt that the Fusion is great to drive, too. Hyundai Sonata -- The current Sonata almost single-handedly started the trend toward good-looking, value-packed family sedans. Newly redesigned for 2015, it's still a formidable foe -- especially with its powerful 2.0-liter engine. Toyota Camry -- The Camry is heavily updated for 2015 in order to give Toyota a fighting chance against major rivals from Honda, Hyundai and Ford. We suspect that the new Camry will offer an appealing package -- much like the outgoing model. The LX is so rich with features that we're tempted to recommend it and call it a day. We do consider the LX to have a strong value, but given all the extra features you get with the EX-L, it could be the pick of the litter if the price is right.